Last Chance for Early Bird Subscriptions! This is it folks! As of midnight tomorrow, July 31st, our Early Bird Passes will no longer be on sale! We have Full-Packs and Flex Packs for sale giving YOU up to 25% off regularly priced tickets! Attend any performance during the season. Valid for one patron to book one ticket per production. Excludes Good Timber. *Pass Tickets are issued in the name of the pass holder and are not transferable. Allows one patron to attend many performances, or many patrons to attend a few performances (pending availability). Excludes Good Timber. 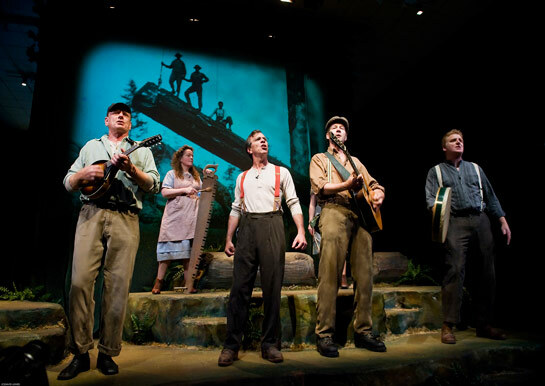 Buy any subscription pass to the 2012-13 Season and get up to two tickets to Good Timber, the Firehall’s summer show, for only $20 more per ticket! Good Timber. Photo by David Lowes. **Please note that subscriptions can only be used for Firehall Productions and presentations. This entry was posted in Firehall News and tagged early bird, Good Timber, Season Pass, subscriptions. Bookmark the permalink.